Andy is a former professional footballer having played for several clubs including Southampton, Swansea and Exeter. He later played for Salisbury and combined this with coaching football in many of the local schools. Andy then started to lay the foundations for a career as a personal trainer and sports therapist, first gaining a diploma and later a degree in Applied Sports Therapy from Teeside University. 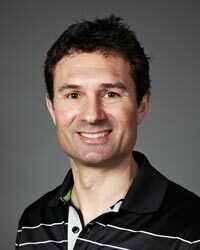 A substantial part of Andy’s degree focused on exercise physiology, rehabilitation and their correct implementation. He is now a physio at Eastleigh FC.